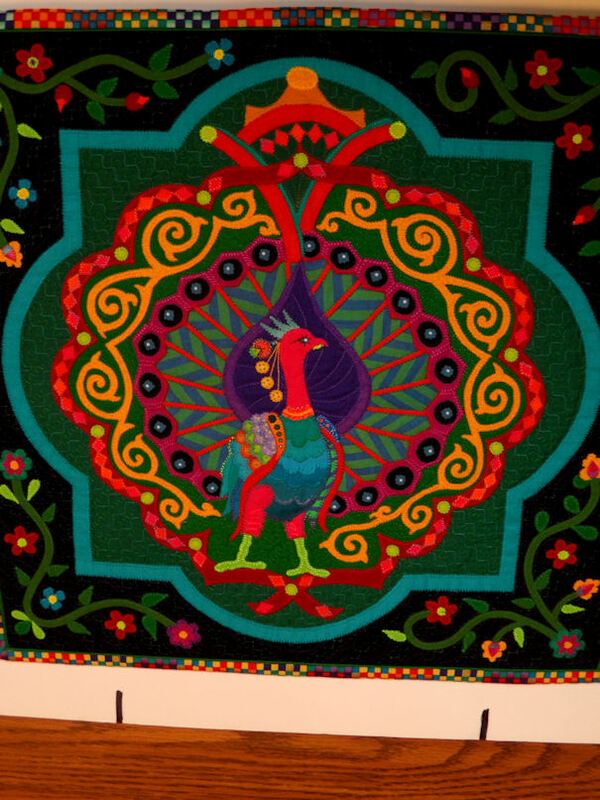 An evening with PAT HOLLY …..
PAT HOLLY was guest speaker at our March quilt guild meeting. 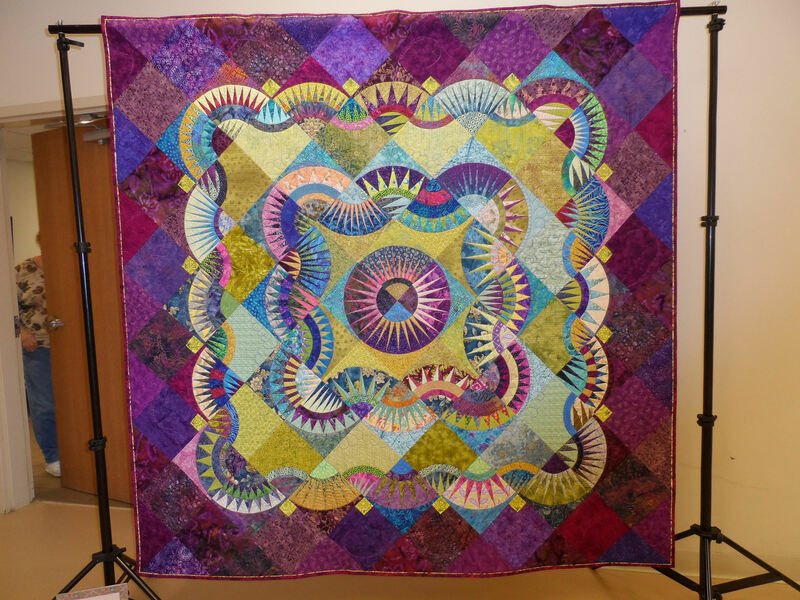 She brought many of her quilts and talked about her journey from a newbie quilter to award winner. The guild members were able to get and up close and personal look at the quilts. 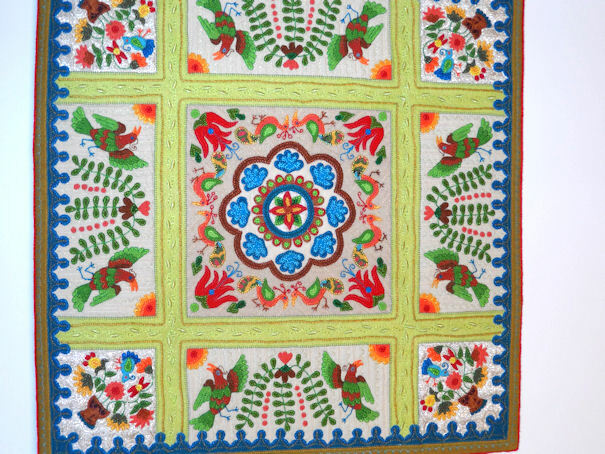 I asked Pat if I could post pictures of her quilts on my blog and PAT said yes. 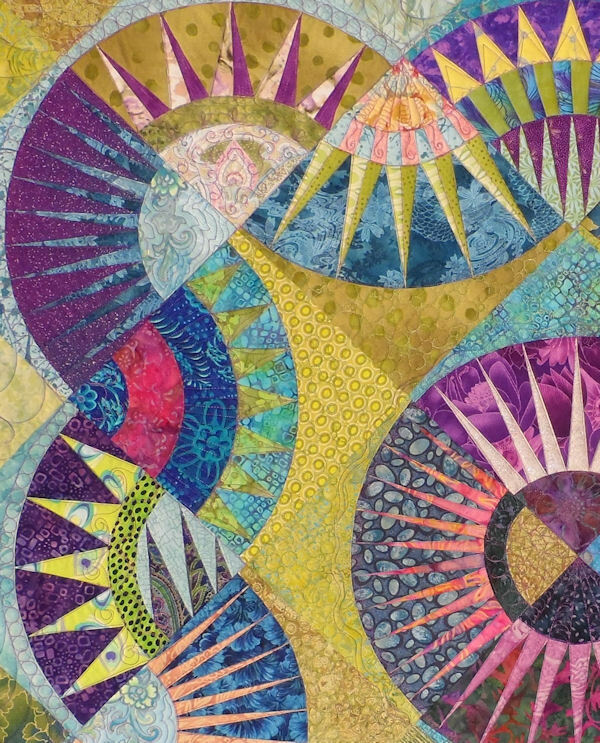 I also should let you know that she showed her newest quilt that will be debuting in Paducah, Kentucky this spring, but I will post pictures after that time. 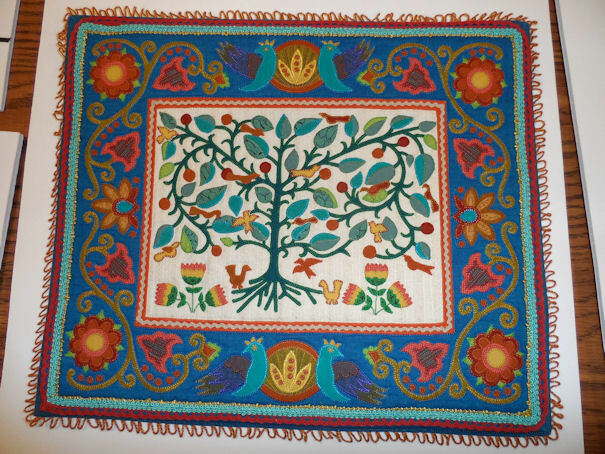 This is one of Pat’s earliest quilts. At the time she was doing everything by hand including the quilting. PAT specializes in miniature quilts. 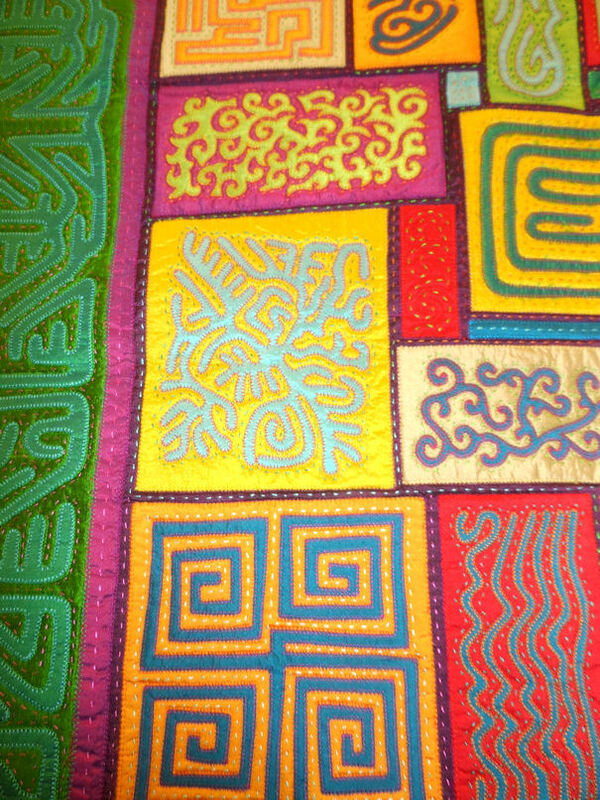 She uses fused applique techniques in most of her quilts. 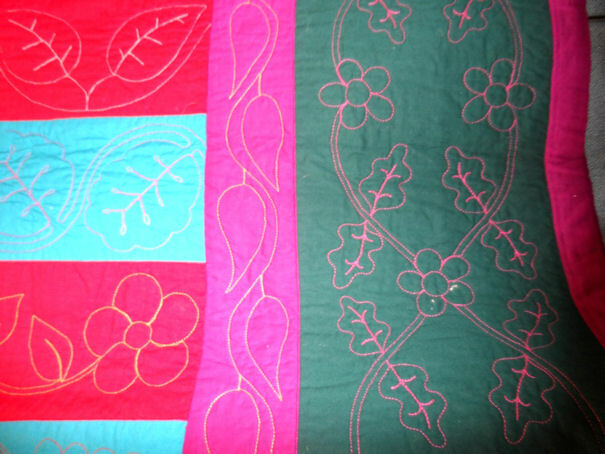 She also started using stitched background using the decorative stitches on her domestic machines. 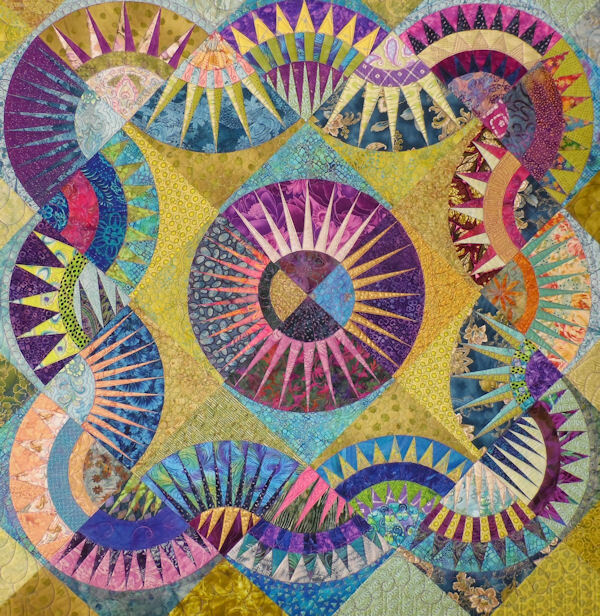 She does FREE MOTION QUILTING on her miniature quilts, but her sister Sue Nickles does most of the FMQ on the big quilts. I hope I will be posting more pictures in the future… so stay tuned. 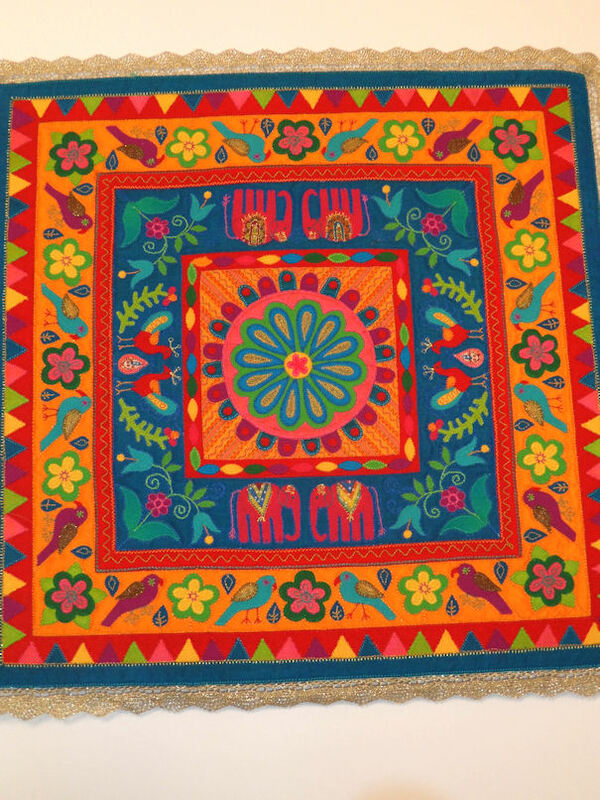 DAVISON MI EVENING STAR QUILT GUILD’s 2013 RAFFLE QUILT…. isn’t GORGEOUS ! 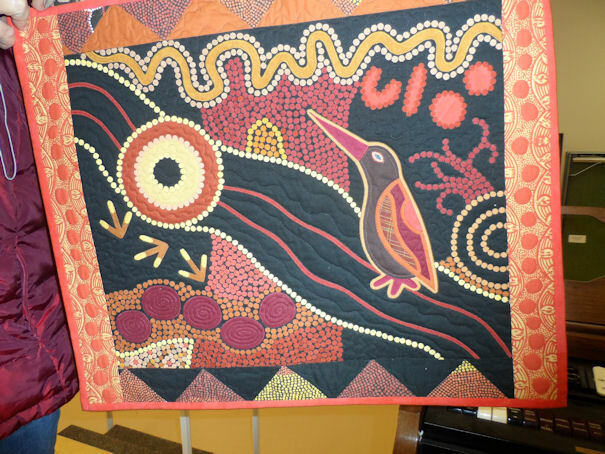 This gorgeous quilt was made by a talented group of quilters that belong to our guild. This is the second quilt they have designed for our raffle and each quilt just gets more fantastic. I just had to share the pictures with all of my friends. 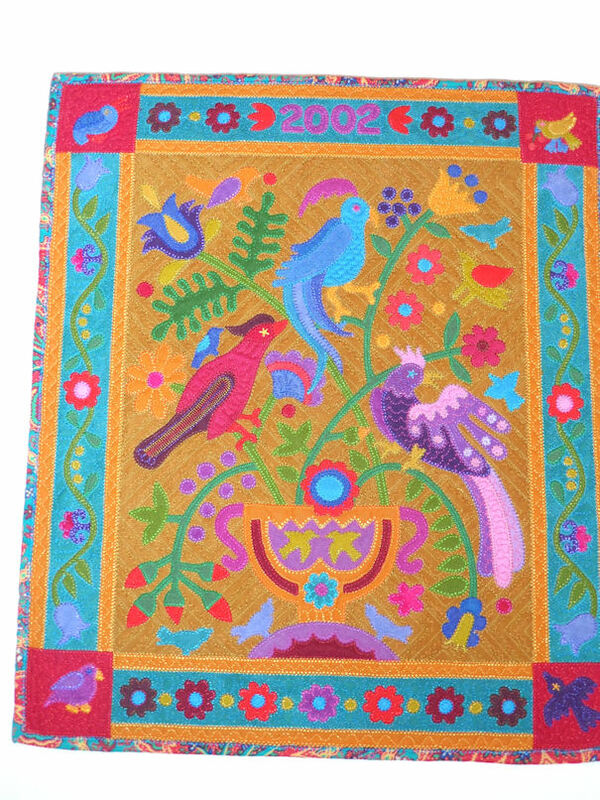 *No I did not work on the quilt… I am honestly not in the same caliber as this group of quilters. 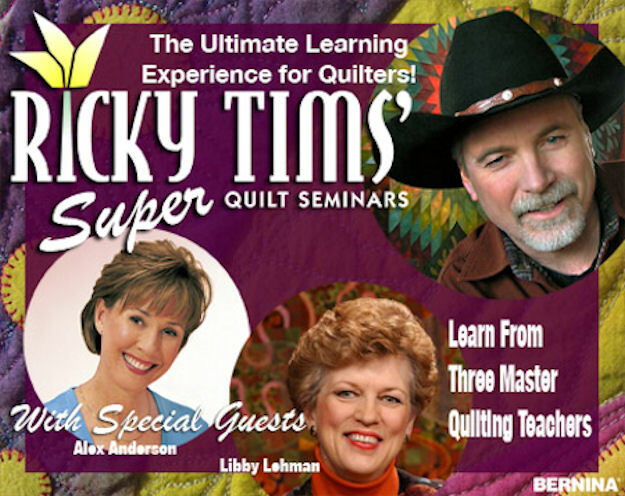 *WE will be selling tickets at the RICKY TIMS QUILT SEMINAR IN ROCHESTER MICHIGAN. MAY 2-3-4th **** THIS IS THE LINK TO FIND OUT MORE! *Anybody planning to be there? Let me know I would love to meet you!